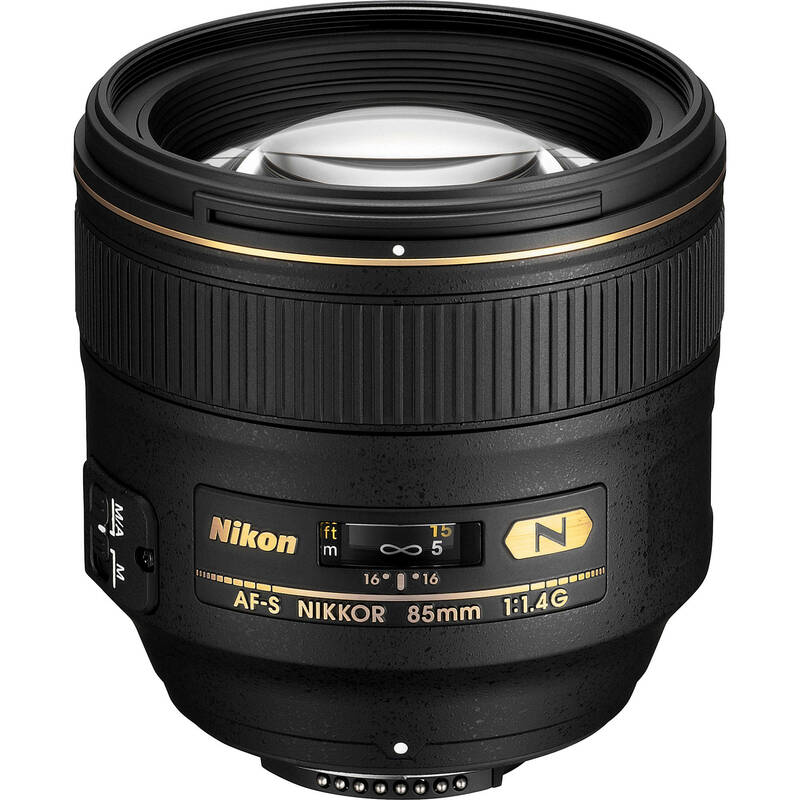 AF-S NIKKOR 85mm f/1.4G Lens is rated 4.9 out of 5 by 328. Rated 5 out of 5 by John F. from Beautiful glass There is not much I can add to previous reviews raving about the dreamy bokeh, clarity and quality of this lens. I did spend some time debating the value vs the 85mm 1.8, but from the moment I unpackaged the lens and with the first few sessions, no regrets at all.If you are taking the time to read reviews of this lens, I would imagine you might be considering the 105mm or the 135mm DC alternatives for portrait work, as I was. For my purposes, the 85mm has turned out to be extremely versatile for both indoor and outdoor work, and though I would love to own one (or both) of the above lenses, I suspect the 85mm will remain my go-to glass in most cases. Rated 5 out of 5 by Russell from Extremely sharp I traded my old 85mm 1.4d for this newer lens. The new lens is sharper, it's nicer to focus since the focus overide that doesn't require changing from auto to manual and then re-aimimg the lens. The hood is much easier to use and store since it inverts on the lens for storing. Also I can put the lens cap on without removing the hood. It focuses relatively fast, not as fast as the 28-70 and others have said that it focuses slightly slower than the old model, but I wouldn't consider this a problem. I love the ability to vary my depth of field that this wide f stop gives. I also like the way the subjects pop from the background with this lens. Both images were shot with a D810. Rated 5 out of 5 by htechboy from One Sick Of A Lens Ultra Sharp across, even at f1.4, very high resolutions, amazing sharpness and quality even at f1.4 , stunning background just nicely melt away, price tag looks expensive, results are priceless and worth every penny of my purchase. 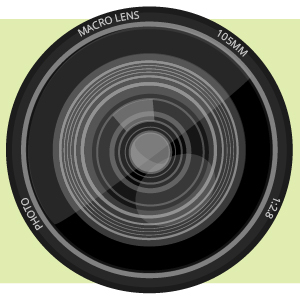 if you're very picky about the quality of your images, this is the lens that will ease your hunger. I used it as everyday walk around lens, family portraits, weddings and night events... I also own and recommend the following glass: 70-200 VRii, 105 macro, 24-70 2.8 and the classic 50 1.8 AF. this is a hard to find lens, been looking for weeks, thanks bhphoto to make this item available. Rated 5 out of 5 by Loungeking from I am now a believer!! I just purchased this lens and let me tell you...it was worth every penny paid. The bokeh and level of detail offered by this lens has made me a convert to using primes ONLY from now on. I shoot weddings and I have owned the 85mm 1.8 but this lens takes the cake. If you are put off by the price, don't be. You will make your money back based on the quality of work you are able to produce. I am buying the 24mm 1.4 as well. I have the older 28-70mm 2.8 and 17-35mm 2.8. I will be keeping the 17-35 and will be getting rid of the 28-70 and strictly using the 85 and 24 for all my mid range work. The 85mm has definitely knocked my socks off! Rated 5 out of 5 by Anonymous from Best Nikon Lens Had the 85mm f/1.8G for the past few months, did a great job; good clarity, cloor, and bokeh. After reading all the comparisons I decided to try the 85mm f/1.4G and discovered the difference. This lens is amazing. Better than the 24mm f/1.4 and any of the holy trinity zooms, I have them all. This is truely the best Nikon glass that I have ever used. Don't let the price scare you off like it first did for me. At $ it is worth every penny. Pared up with the D800E I am continually amazed at the results. Bringing raw files into lightroom 5 allows me to be as creative as I can imagine. Do not hesitate, buy one if you can. Rated 4 out of 5 by Anonymous from Portrait beast If I could give this lens a 4.5 rating I would. Lack of the full 5 because its lack of sharpness when at 1.4 (but this is me being unfair as no lens is perfectly sharp wide open). None the less, this lens is nicknamed the cream machine by professionals and this stands for good reason! This quick and quiet AF-killer has the potential to produce some pretty epic portrait images when stopped down to f/2 or f/2.8. Purchased this lens for my Nikon D600 and have been very pleased with its results. Night portraits in the city can be magical when you have some lights to play around with as background bokeh (blur). Rated 5 out of 5 by Adam from Wow! This lens is why we don't use iphones for photography. This is a great lens. It is super sharp, of course. But the colors just stunning and bokeh can't be touched. I had the 85mm f/1.8. It was good, sharp, light. For $500 bucks, a great value. The $1600 for this lens has some Nikon gouging built it. I was hoping for a greater improvement over the 1.8. It's not THAT much, but it is better. The colors are much richer. I decided to keep it over the 1.8. Build quality is much better. It feels more substantial. Very important to fine tune the auto focus . Depth of Field is so shallow it's critical. Once I set that, I now have to wear eye protection. Its that sharp. Rated 5 out of 5 by bobbygeorge from My Forte...Faith in Customer Reviews. Having given up the fascination of B&W Portraiture in a previous century and being a novice of 'digital' during the past three years....I did want a fail-safe method with a portrait lens in this century. Thanks to the customers of B&H and their much appreciated 'Reviews' I was able to dump a bundle on the 85mm lens with the assurance of experience gained by others. I'll not have the diversity of usage I do with other glass however it does a magnificent task of picturing small antiquities. Price and service could not be equaled in Canada. I did spend and save a bundle with B&H...and yes, the 'Reviews' as usual were accurate. I've no regrets. How do I receive my rewards? I never seem to figure that part out or either it never applies? For assistance with the above inquiry, you would have to contact the Customer Service Department either by e-mailing your inquiry to cs@bhphotovideo.com, by calling 1.800.221.5743, or via Live Chat. This inquiry cannot be assisted via this forum. Will the Nikon AF-S NIKKOR 85mm f/1.4G Lens work with a D90 body? Will this lens work on a Nikon D7100? What is the difference between the USA and the Imported warranty on this lens? 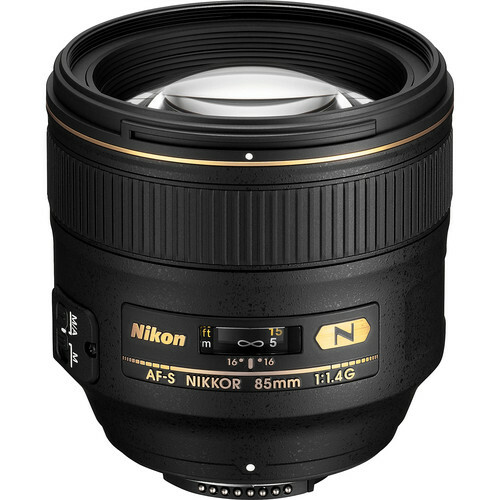 The USA version has a Nikon Limited 1-Year Warranty Limited 4-Year USA Extension upon RegistrationAnd the import version has a one year warranty by B&amp;H.
Does this lens work on a d5500? Compatible with D80 and D810? Yes, this lens is fully compatible with the D80 and D810 digital cameras. Is this compatible with the Nikon D5200 camera? Yes, the lens is 100% compatible with the D5200. What other images is this lens used for besides portrait photography? hello, good day,I bought this lens for aerial photography work especiallyon light quality and sharpness,the results are very good, it's a great lens, I'm sure gives excellent results in portraits, color is accurate, the approach is faster, it is crisp throughout the area, I recommend it.